Study abroad..... a life changing experience to any who have done it. My 3 weeks in London were some of the hardest and most empowering days of my life. I cherish the experience so much and I am so thankful that I had the opportunity. 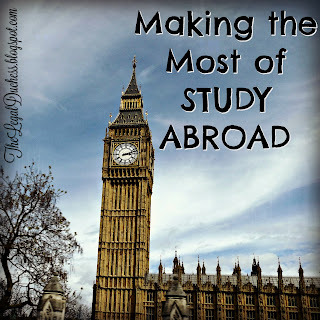 Studying abroad can be a bit daunting and scary.... especially if you have never been out of the country (that was me). All I can say is try to limit your worries and just let the experience happen and shape you. I can honestly say that study abroad changed me as a person and I could not be happier because of it. 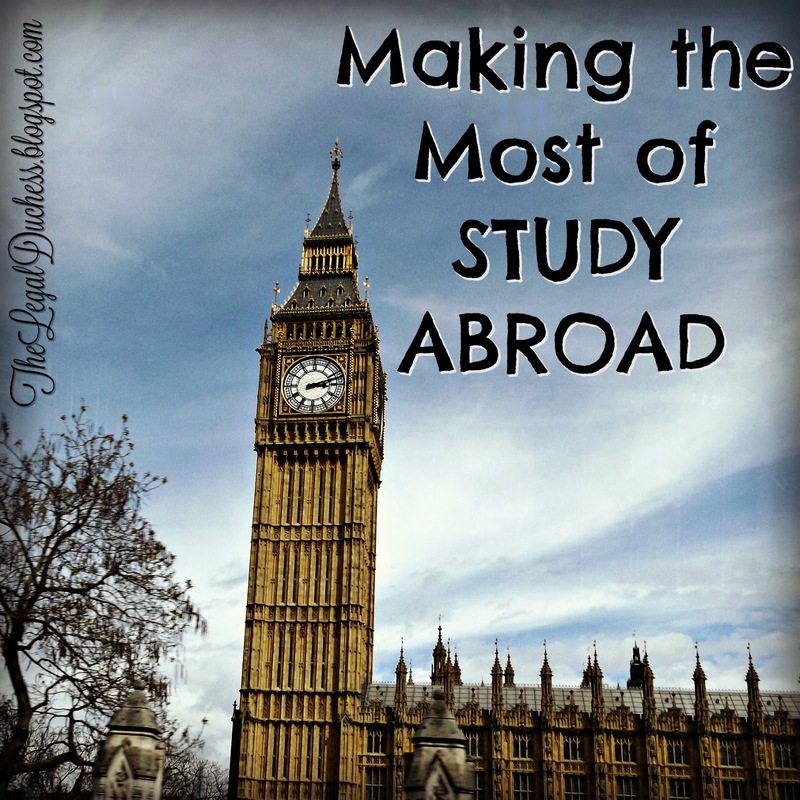 Here are some of my tips for enjoying the whole experience and making the most of studying abroad. 1. Do it ALL. Join in on you friends adventures even if they aren’t typically your thing. It will probably still end up being a fun and learning experience. When it doubt, don’t worry and just do it and make the best of it. 2. Do as much as you can: 3 weeks goes by SO fast. Make all the memories you can. Take all the pictures you can. Live it up. My motto while there was “I am not in London to sleep, I am here to explore”. I averaged 2-5 hours of sleep a night and was so exhausted and yet happy as a clam because I was jam-packing my time with memories and experiences. 3. Start walking before you go because 13 miles a day, up and down stairs to the Tube stations and living on a 5th floor flat with stairs only access can make for some sore muscles. This is also why good, comfortable shoes and insoles become your best investment and best friend. 4. Don’t be afraid to go outside of your comfort zone…. That’s kind of the point of study abroad. Explore, inquire, and immerse yourself completely in London. Go off by yourself, get lost, try new food…. Do it all. You're only there for 3 weeks and fill them with experiences upon experiences; even the ones you think you will hate may surprise you and turn out to be some of your favorite memories. 5. Talk to Londoners when you get the chance. It is so cool to just hear from someone of another culture and learn from them…. And those accents!!! 6. I am all about budgeting and saving money but there comes a time to put the budget aside and just do the things that may be once in a lifetime. Take those experiences and pay it off later; I promise the memories are worth it.Don’t neglect your research project or classes; after all, that is the reason you get to do this experience. Find a way to weave the project into other activities you want to do and try to keep everything balanced. For example, if you want to do a day trip for a whole day, find a project relation within that trip and expand upon it. The most obscure things can be the most interesting sometimes. 7. Get to know your fellow classmates- you may be surprised by how close you get after even just a few weeks in another country. Of the 7 girls I went with, I became BEST friends with 3 of them and we literally did everything together from the moment we woke up until we fell asleep in a heap of exhaustion on the couch at night. We had the same focus for the trip of wanting to experience everything and we did. It was so fun to experience everything as a group and help each other through the experience. Having someone else to rely on can be the difference between being scared and just doing things while you are there. When my uncle died while I was abroad and I could not attend his funeral, these girls held me while I cried and helped me make a tribute to him at Abbey Road. Without them, I don’t know how I would have gotten through that heartbreaking time. I also got to join in on some of their experiences that I otherwise would not have done and it was a blast. Also, you then have photo takers, map readers, someone to sit next to on the tube and someone to share your worries and excitement with. I still talk to my London girls almost daily and I am so thankful to have shared this experience with them. 8. If you are not best friends with your fellow classmates, it’s okay. The other 3 girls in my group had a totally different focus for the trip and we did not see eye to eye and it was fine. We went our separate ways, did our things and got along fine. You can’t make everyone see the trip in the same way as you and sometimes you just have to go with it. It can be frustrating but do not let it ruin your trip. They don’t have that kind of power. This is your experience and make it great no matter what everyone else is doing. It is a great time to exercise your independence and to do what makes you happy. It’s is not going to be easy or perfect. If you think everything will work out perfectly and 100% according to your plan, change your thinking ASAP. Problems will arise, you will miss your family, you will get discouraged, you will not get to do everything you planned, you will get lost on the tube or buses, you will spend too much money on something by accident (in my case it was 10 pounds worth of water at Pizza Express), you will feel awkward and out of place but don’t get down. Embrace it all and take it in stride. It will be a perfectly imperfect experience that may just change you as a person forever. I know it did for me and I am forever thankful for this opportunity and experience. Always remember, "Not all who wander are lost" - J.R.R. Tolkien. Wander, get lost and enjoy every. single. minute.